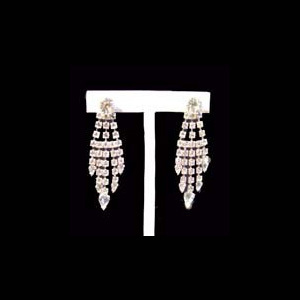 The Atta Earrings. 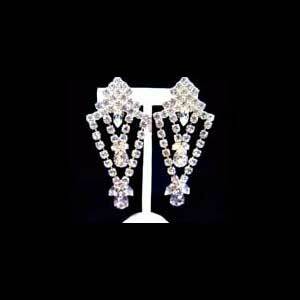 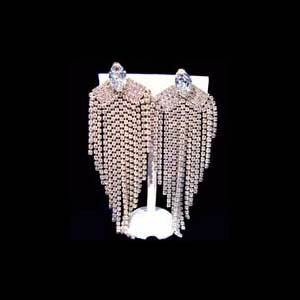 These earrings are made out of diamante chain set with 3mm crystal stones which graduate from the centre drop. 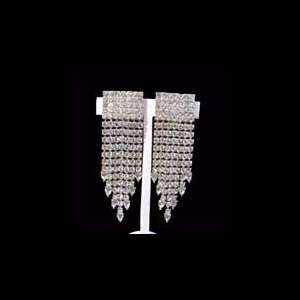 At the end of each drop is a 8×4.8 pear shaped crystal stone. 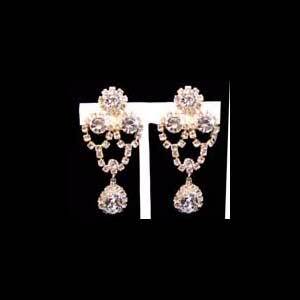 Drop of earring is 11cm. 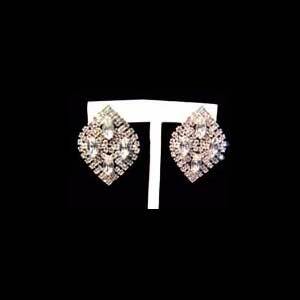 Width of earring is 2.5cm. 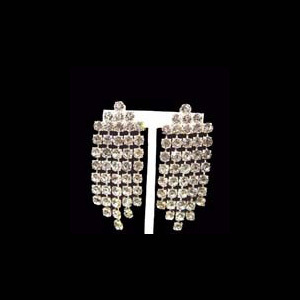 The earring has a clip finding for attaching onto the ear.